Technology firm River Logic offers an advanced analytics platform to help its customers optimize their businesses end to end through prescriptive analytics. To make its platform more usable across organizations, enhance visualization, and build customer trust, River Logic deployed Microsoft Power BI Embedded. The firm gained world-class visualizations without spending time on development, plus enhancing its platform boosted customer efficiency and ROI. Consider your typical commodity trader. She needs to make significant trade decisions based on more than a gut feeling or standard rules. She needs to be able to make decisions based on a large body of variables, constraints, objectives, and business realities. With the many tradeoffs across her company’s value chain, it’s crucial that she use a form of analytics that not only prescribes her the best path forward, but lets her see how every decision might impact key performance objectives. Business solutions firm River Logic goes beyond predictive analytics (which forecasts what may happen) to prescriptive analytics (which recommends actions a business should take). The firm offers optimization modelling and advanced scenario analysis to its customers for solving complex business problems, supporting faster, better decision making across a range of industries, including manufacturing, energy, mining, utilities, and government. Organizations use River Logic’s technology to model their end-to-end value chain, including areas such as sales, marketing, financial performance, operations, logistics, sourcing, and more. The firm moved its platform onto Microsoft Azure in 2015, a seamless transition that did not require River Logic partners and customers to do any retraining or retooling. In 2017, River Logic wanted to update its platform in Azure to ensure that business users could easily access and visualize data from optimizing dozens to thousands of scenarios—which historically was a black-box process to anyone besides data scientists. The firm sought to bring an application experience to customers that they could use to achieve widespread adoption of optimization-based prescriptive analytics across many use cases and non-technical roles in their organizations. And it knew that delivering a world-class scenario visualization and analysis experience within the platform was crucial to achieve this. River Logic considered building its own visualization features, but it did not want to forgo any of its optimization modelling functionality or a great user experience. With Azure already in place, River Logic deployed Microsoft Power BI Embedded so its developers could focus on core platform needs instead of building, maintaining, and updating a data-visualization solution. One of River Logic’s customers is a Top 5 Global Consumer Packaged Goods (CPG) company that manages several hundred brands globally, including thousands of SKUs. Despite the company’s achievements and its use of the full SAP suite and many other supply chain tools, it was unable to answer the question that plagues so many manufacturing companies: “Given latest demand and considering all our capacity, throughput, labor, and inventory pre-build constraints, as well as their impact on fixed and variable costs, what is the optimal production line for a given SKU per month?” The company needed a technology and process that balanced factory capabilities, capacity, and costs for a dynamic volume allocation at the lowest total network cost. The River Logic solution simplified the problem by highlighting the most relevant inputs and outputs through its scenario-management user experience that relies on Power BI Embedded for highly detailed scenario analysis and visualization. The Top 5 Global CPG company was able to move from a once-a-year planning cycle to a rolling monthly planning process. Before River Logic, planning time took several weeks; after, it decreased to one day. This drastic increase in efficiency helped improve the reaction time and quality of decisions when the company was faced with demand and cost volatility for that period. The company improved tactical decision making when unplanned events occurred, and furthered its strategic planning by guiding contract negotiations on procurement, labor, and transport. In addition to its enhanced decision-making agility, the Top 5 Global CPG company saw a radical initial savings in cost of goods. River Logic has achieved its goal of making its solutions more accessible for a variety of business users, which helps democratize prescriptive analytics. Providing a more comprehensible platform and more interactive experience ultimately builds customer trust. 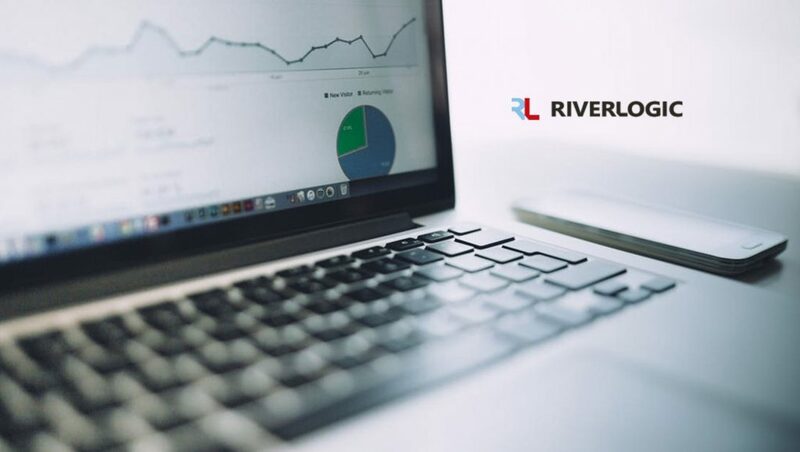 Embedded visualizations and dashboards are the first things that the River Logic sales team shows potential customers in its initial demos, including different scenarios, real-time data charts, and improvements in performance.